Blouse 117 is my BWOF project of the month for October. 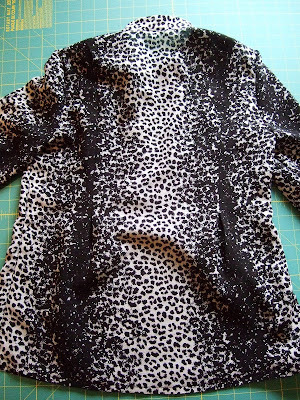 I used a somewhat gauzey fabric that I picked up at the Pacific Fabric Outlet earlier this year. Not sure of the fiber content, have been too lazy to do a burn test. I put the fabric in the washer and dryer, and now the background is more grey than white. Because this fabric is "striped," I cut out all the pieces in a single layer to ensure that the light and dark areas would be symmetrical. None, I made everything as drafted. The sleeve cuffs have a really great design that you don't even notice until you trace the pattern (or someone tells you, like me...). 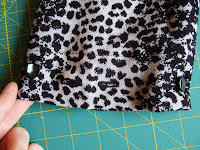 To form the cuff, you fold under a deep hem, 2", and topstitch. Each cuff then gets 4 buttonholes and 2 buttons. 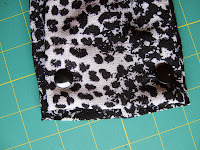 Each button is fastened into 2 buttonholes; this helps to create a pleat. See the line drawing above? The cuff looks the same from the front and the back. None, except that I typically avoid this style of collar (would you call this a mandarin collar?) because I just don't care for this look on me. I forgot about that when I chose this pattern! This would be a great blouse in a light, summery fabric, like voile; the fit is easy and comfortable. This is a very, very cool. blouse. I love the fabric and the button detail! 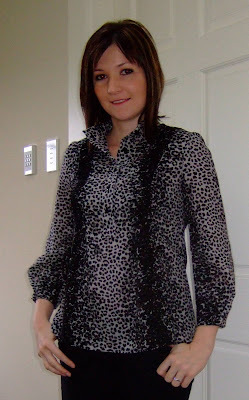 The fabric really makes this an awesome blouse! Great job! It's called a "band collar" and I think it looks great on you! Wow, it does look better than the line drawing! 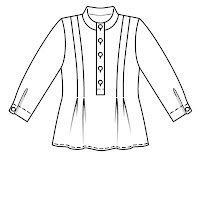 Very nice blouse, it is closer-fitting that it seemed in the drawing and I love the fabric! Very trendy and stylish! Just fabulous! 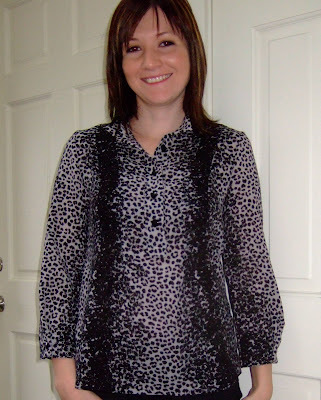 Love this pattern, love the fabric and it looks perfect on you! Well done! Love those cuffs! That is so genius! Which issue is this from? yaiann - This blouse pattern is in the October 2007 issue of Burda World of Fashion. cute top! I love the fabric.